Fuelled by the ever-increasing number of social media users and their active online behaviour, one innovative project, UHIVE, is introducing a new social experience and taking it to new heights. Over the past year, user behaviour on social media has changed with people online sharing user-generated content and enjoying other features such as games. online profiles, there has always been limitations set by the user in fear of security breaches. Users have also become susceptible to external community factors such as social norms, political and governmental regulations. Witness the Cambridge Analytics invasive behaviour and Facebook’s subsequent grilling by government representatives across the world. 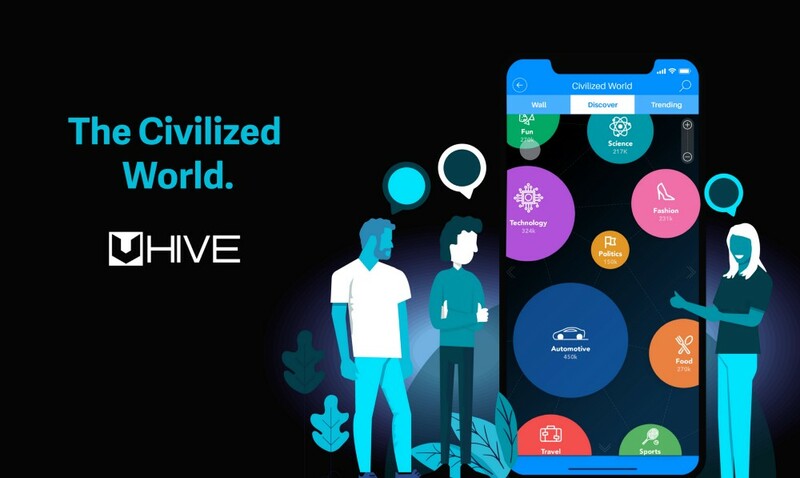 Challenging the status quo and changing the way a user behaves on social platforms, UHIVE is a cutting-edge blockchain-based social networking platform that offers physical dimensions and is designed to appeal to all social network users. UHIVE combines Artificial Intelligence and Blockchain technology, along with a human touch, and offers users a unique, enjoyable and secure experience. As the first Social Network to incorporate physical dimensions, it offers users a completely new and innovative way to explore the social experience with their senses. Branching away from the traditional experience of using hashtags and keyword searches, UHIVE allows users to discover the journey for themselves, by walking thought infinite spaces, and visually identify what is worth exploring. In addition, UHIVE will give users the chance at a genuine experience which helps them receive and identify information such as community sizes, populations and user engagement through the visual representations it offers, which includes size, depth perception, scaling, and visual effects. There are two distinctive ways in which UHIVE operates; The Civilized World and The Grey World. The Civilized World mirrors Earth, and is a cultivated network, governed by rules and regulations. Here, identities are real, and allow users to connect with family and friends, and meet new people. In the Civilized World, the network is exposed to and influenced by external factors such as politics, social norms and global regulations. The Grey World is obscure. UHIVE has successfully revived anonymity for users, and through a decentralized structure based on hybrid blockchain technology, users can be completely anonymous be it by identity or location. Here, there are no social norms, and users are liberated from external factors, which are completely isolated from their identity. The Grey World is an exciting universe, which offers users the opportunity to be whoever they would like to be. Here, users are free to try new things and be completely uninhibited by this untraceable space. “We are on the edge of a new social networking concept that will transition into becoming the world’s first ever user-liberating platform,” commented CEO and Co-founder, Muayyad Shehadeh. One of the most standout features of the platforms are the HIVE Tokens, which were designed as a reward for all users based on their levels of engagement. Tokens also add new value to individuals, businesses, marketeers and social influencers. HIVE Tokens signify the birth of a new digital era of economy, as they are fundamental in the transactional process for products, digital assets and services. A four-year incubated project by Genie9 Co and encompasses over ten years of expertise in Big Data, A.I., user experience, and advanced backup technology, with a database of over 10 million users and over 1000 global partners, UHIVE is planning on releasing 20 billion HIVE Tokens in the upcoming ICO (Initial Coin Offering).